This summer and through the end of the year I will be hosting an A to Z travel series I’m calling “See the USA”. I’ve invited guest bloggers to choose a city and share their top 5 family friendly things to do in that town. We will be working our way through the alphabet and you can keep up with the list here. First up is Heidi Gollub from Free Fun in Austin sharing her favorite spots around town! Austin, Texas has enough live music, breakfast tacos, and barbecue joints to keep its visitors’ toes tapping and bellies full for days on end. It’s a vacation plan I heartily endorse: eat, dance, eat, sleep, repeat. You can’t go wrong. 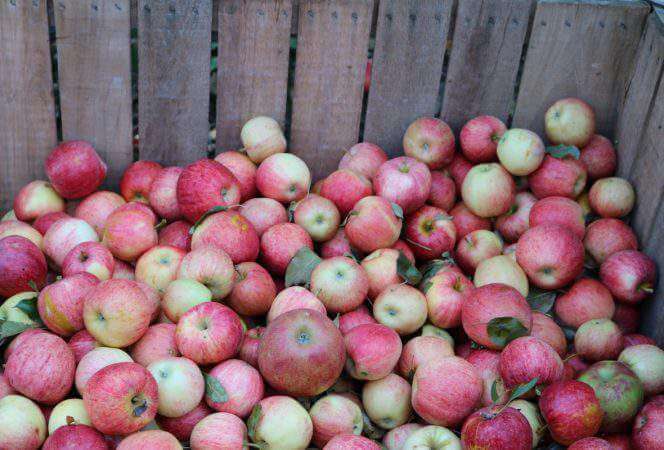 But, if you’re bringing kids to visit The Lone Star State capital, and are feeling adventurous, strike out and explore beyond downtown Austin. 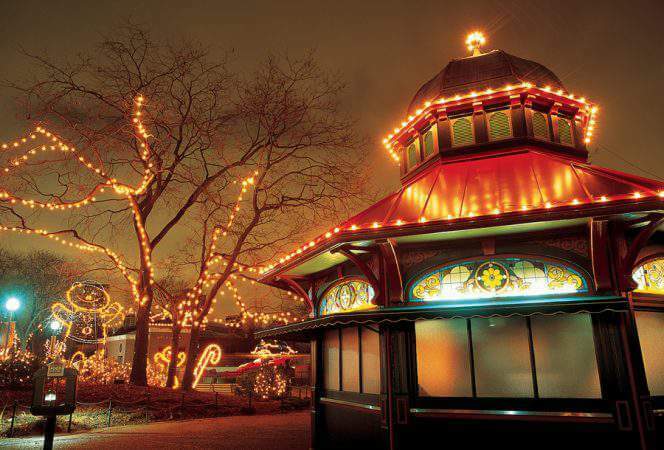 You will be amazed at the beauty of the Texas Hill Country, and your kids will love it too! 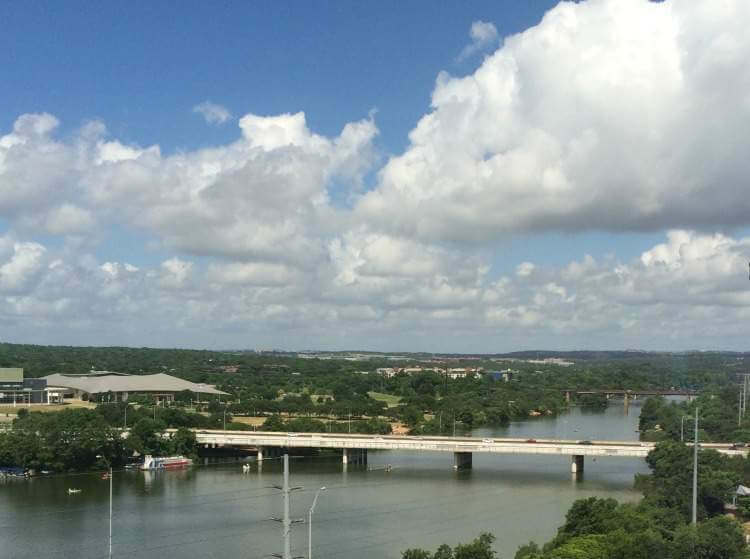 There is breathtaking scenery in the Texas Hill Country, which begins on Austin’s west side. Two nature preserves in particular offer such beautiful landscapes, you’ll feel as if you’ve been whisked away to another world. 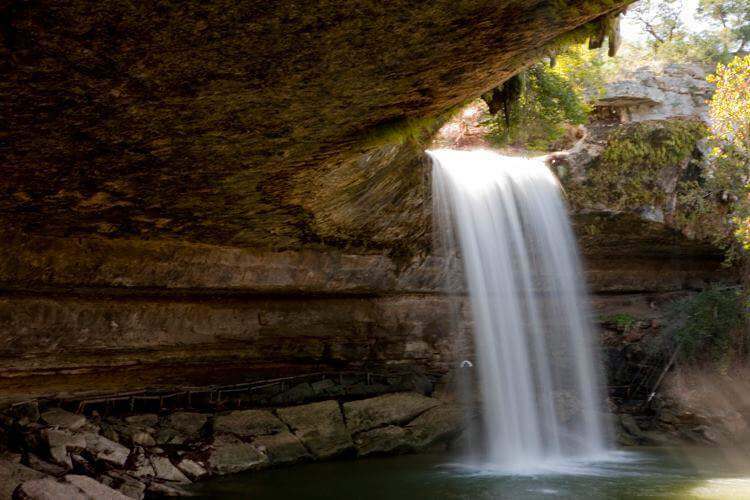 An easy hike to the collapsed grotto and waterfall at Hamilton Pool Preserve is sure to delight the entire family. Small children enjoy wading along the pebble beach, and braver big kids can venture further into the depths of natural water for a swim. Just be advised that there are no lifeguards and swimming is at your own risk. 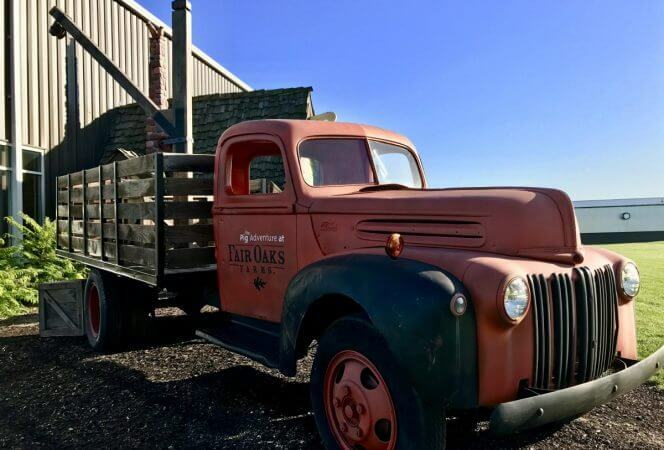 Reservations are now required during the busy season, May through September, due to the preserve’s immense popularity. 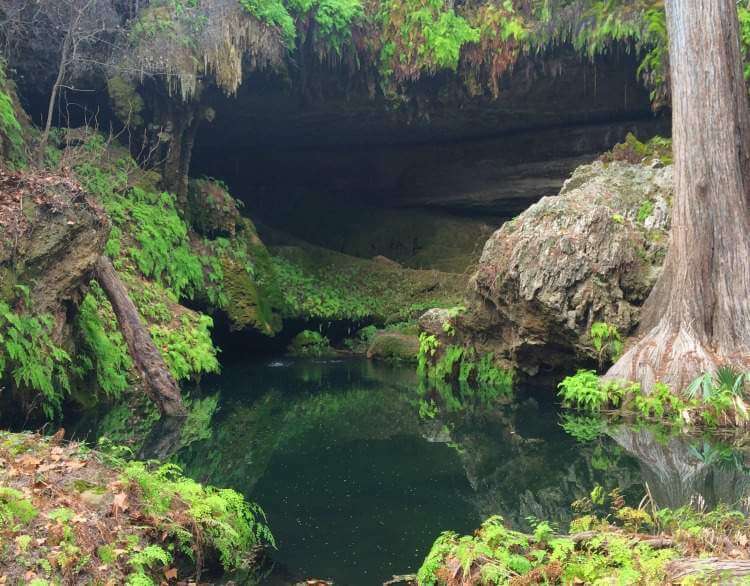 Also west of Austin, Westcave Outdoor Discovery Center offers guided weekend tours of the preserve’s lush canyon. Be sure to arrive early as tours fill quickly. You won’t want to miss exploring a small cave and seeing a 40-foot waterfall! 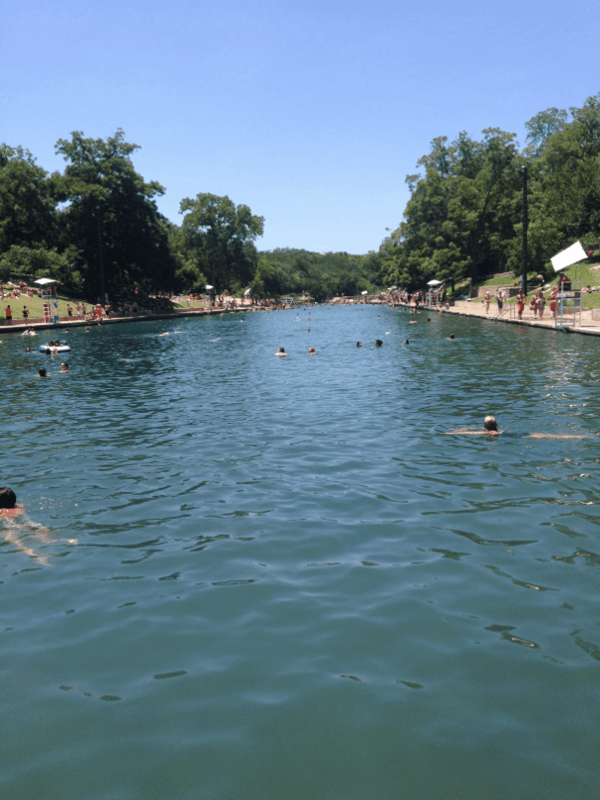 No visit to Austin is complete without a swim in the icy cold water of Zilker Park’s Barton Springs! A three-acre recreational pool created by floodgates along Barton Creek, this natural water pool remains a chilly 68 degrees year-round. If you’re looking for a unique excursion that will make a lasting impression, take a guided tour of Inner Space Cavern in Georgetown. Explore caverns and natural wonders underground, then head up to the Inner Space Mine and pan for gemstones. Austin boasts the largest urban bat colony in the world. On summer evenings, tourists and locals alike line the Ann W. Richards Congress Avenue Bridge to watch an estimated 1.5 million Mexican free-tailed bats emerge in search of food. While you can watch the bats from either the bridge or the shores of Lady Bird Lake, I recommend hopping aboard a bat cruise, offered by Lone Star Riverboat and Capital Cruises. Not only will you get a better view from the water, your boat guide will regale with interesting Austin trivia as you wait for the “show” to begin. Austin has two awesome water parks close by, both of which are worth the drive. 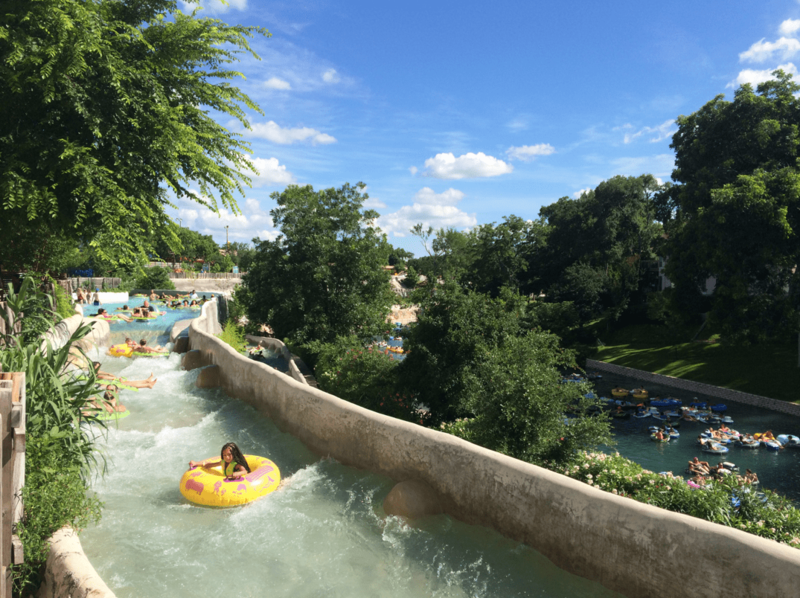 Head south to Schlitterbahn New Braunfels, a 70-acre water park along the banks of the Comal River which boasts 40 attractions for all ages and heights. Parking and coolers are free, so pack a picnic and plan to stay for the day. Or, head north to Hawaiian Falls Pflugerville, and enjoy a budget-friendly day of play at the combined water and adventure parks. You’ll be glad you did! Have you been to Austin? What do you recommend? 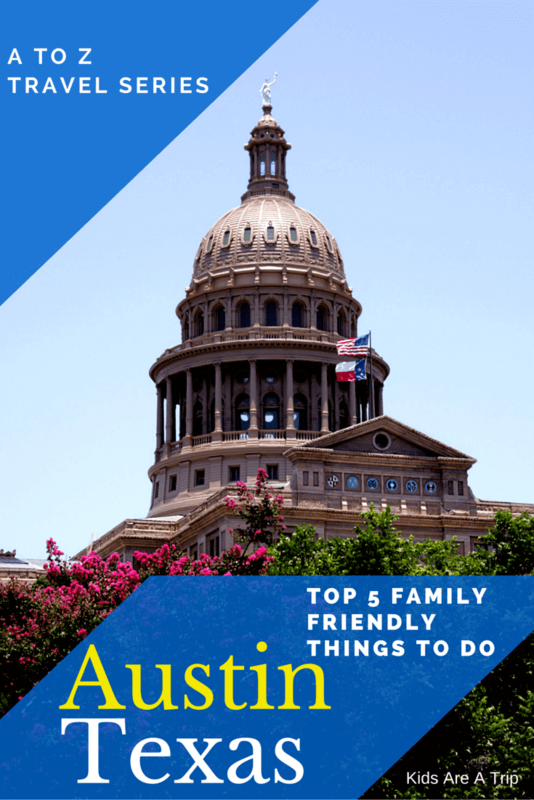 For more ideas on what to do in Austin with kids, visit Free Fun in Austin or the Austin Convention and Visitors Bureau’s Austin Insider Blog. Heidi Gollub is the founder and of the award-winning website Free Fun in Austin.com. When not running around on adventures with her five children–ages three to 16–she volunteers for the Austin Convention and Visitors Bureau and shares content with the local news. 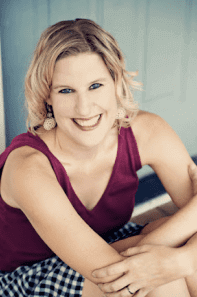 Recently, Heidi was a speaker at Mom 2.0 and the Texas Conference for Women.